When you visit an art gallery or museum, how long do you spend looking at each painting or object in the glass case? And when you have stood and stared for however long, what do you remember later that day (let alone later that year) of the things you’ve seen? With the aid of a Winston Churchill Travelling Fellowship under the Design category supported by the British Council, FCBS partner Clare Hughes set off in search of what makes us truly connect with what we see in museums. Is it the built form that houses the exhibits, the power of storytelling and the spoken word or the ingenuity of technology? When I was a child we spent most of our school holidays trailing around innumerable historic houses, museums and art galleries throughout the UK. My mum used to do what she called ‘homework’ before we went so we had thorough briefings about what we were going to see. It was great fun for me and my seven siblings as we wandered around, making up stories about the people who had lived in the house, or who featured in the paintings, or used the tea services or stoneware we would gaze on in the glass cases. But at some point or other, no matter how thorough my mother’s homework, we would always come up against a red velvet rope, suspended quietly but unmistakably between two golden stands. We would of course stay obediently on the visitor side of the rope, but I always yearned to jump over it and install myself by the fire, or reach across and feel the thick oil paint in the frame in front of me. 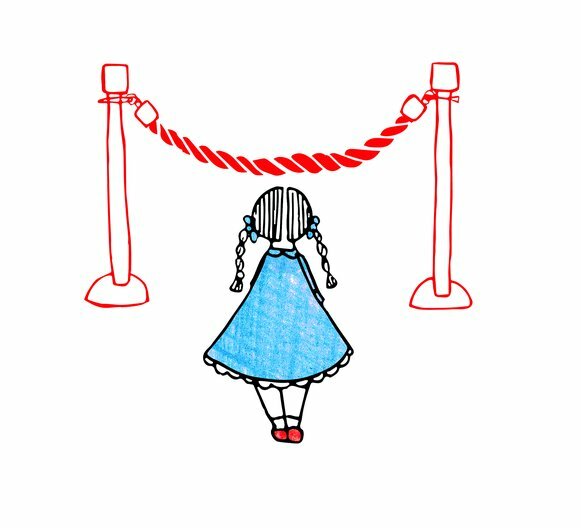 While I understood the reason for the red rope it nonetheless frustrated me because it would somehow disconnect me from what I was seeing – it would puncture the balloon of my imaginary world. Now I’m grown up and working in museum and exhibition design I see up close the pressures on museums. They have to be all things to all people and also have to compete with a phenomenal range of entertainment and learning offers. So the idea of any barrier, however soft, can be problematic. When you think about it, most museums were founded principally to look after a collection, preserved in boxes in dark rooms. Today that function of caring for collections is only one of a dozen or more that museums have to fulfil in 21st century society. So the red rope symbolises this tension deep at the heart of modern museum-making, which is essentially a tension between the need to protect objects for eternity and the desire to connect with human beings in the present. With the aid of a Winston Churchill Travelling Fellowship I set off in search of new ideas for relaxing that red velvet rope, whether metaphorically or physically. My mission was to visit museums who are managing to make strong connections with audiences, while at the same time honouring their mission to safeguard important objects and collections for current researchers and future generations. 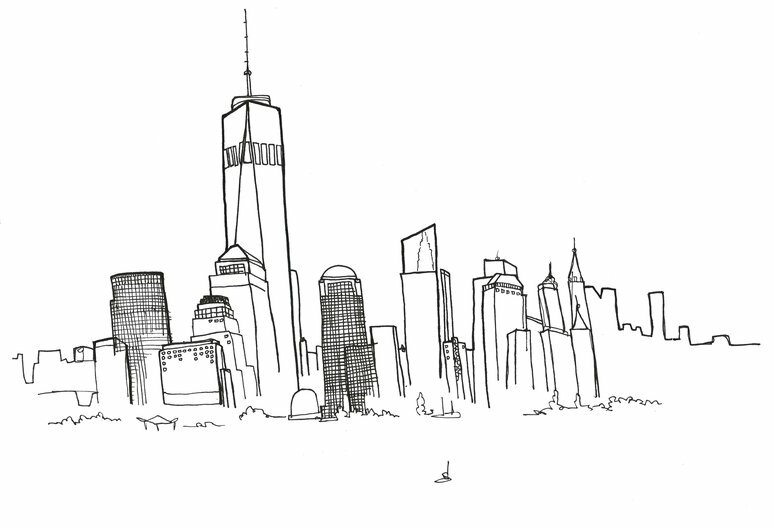 It was a tale of three cities: Berlin, New York and San Francisco. Each city embodies a strong national narrative, and I was keen to learn how those narratives are expressed, implicitly or explicitly in the cultural voices of their museums. Berlin, a city of great culture, defined and redefined by war and reconstruction; New York, a city of immigrants, self-determination and finance; San Francisco, gateway to the Pacific, home of the counter-culture and now capital of tech. What is narrative design [the power of good storytelling in space]? What is the role of materials in shaping experience? How can we improve the all-important relationship between architecture and content? My experiences − whether tinkering at the Exploratorium in San Francisco, considering the museum as ‘anti-archive’ at the Museum of Modern Literature in Stuttgart, looking at the world of design through the eyes of an eight year-old at Cooper Hewitt, or commemorating 9/11 amid the very mortar of the Twin Towers, raise some provocative questions. Are museums ready to move from the ‘object’ being at the centre to putting the visitor at the centre? Or indeed, is it really that story is at the centre? My discoveries were varied, relating to technology, to education, to artistic ambition, but the most inspiring places all seemed to have one thing in common: they understood the power of human connection. It may be a connection with the self, like when a child’s imagination is sparked to see herself in a new way; or a connection with a new idea in a tinkering session; or connecting with matter and colour when making a fresco; or connecting with strangers when you bump into each other trying to see yourself in a crazy reflective sculpture. Or it might be connecting to a deep vein of humanity through some textile or photograph or ancient ceramic. 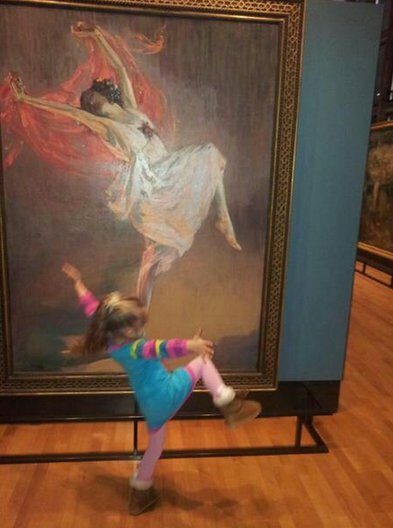 Museums must help us to connect with each other, with our own imagination or with worlds and ideas beyond our own quotidian horizons. They have long been temples to the past, offering connections with objects and stories from long ago, but the true power of museums lies in their capacity to help us make sense of our present; to make sense of each other and, with that understanding, to create a better future. Now back in the UK, I remain deeply inspired by my travels and the year ahead is full of potential for interesting creative collaborations and projects to share my learning and inspire others. My new book Made you Look. 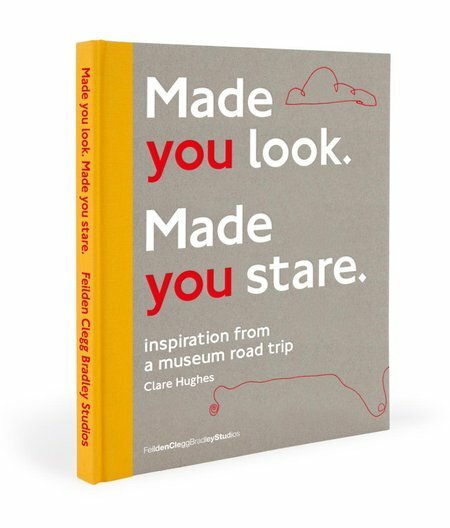 Made you Stare: inspiration from a museum road trip recounts my adventures and offers some great reflections on all that I learned. More information about the book and other projects related to the Fellowship can be found here.